With an abundance of natural resources, a skilled workforce and a strong manufacturing sector, Pennsylvania is truly built to advance business. 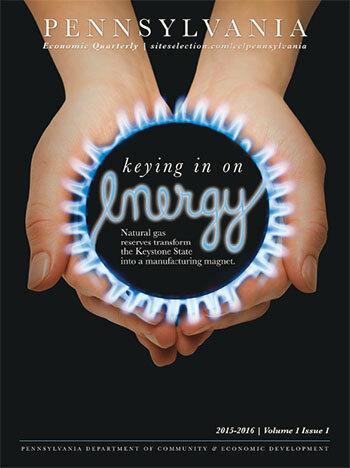 The abundance of shale gas in Pennsylvania is reducing energy costs across the state and lending a hand to the already robust manufacturing sector. urning around a state’s business climate is about as easy as turning around an aircraft carrier going full-speed. Pennsylvania leads from the front in innovative manufacturing technologies. Higher education institutions offer top-notch plastics training to surpass industry expectations.